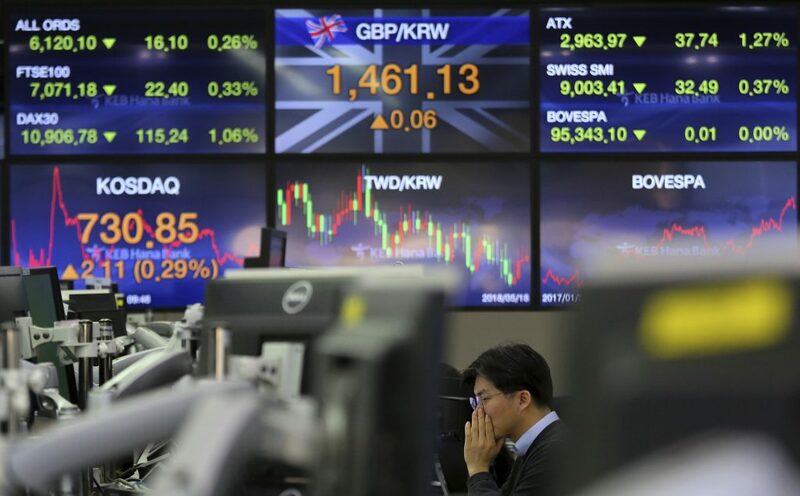 Australian stocks recouped some losses to end 0.2-percent lower while South Korea’s KOSPI index was up 0.2 percent. Indonesian and Indian benchmarks were in the red. That left MSCI’s broadest index of Asia-Pacific shares outside Japan slightly firmer after it was toppled from a four-month top on Friday. World markets are already under strain from a drum-roll of gloomy news on the global economy. Last week, the European Commission sharply downgraded euro zone growth for this year and next, and U.S. President Donald Trump added to the anxiety with a declaration that he had no plans to meet with Chinese President Xi Jinping before the March 1 deadline to achieve a trade deal. Adding to worries, a collapse in talks between Democrat and Republican lawmakers over the weekend amid a clash over immigrant detention policy raised fears of another government shutdown. The rising pressure on growth means the near-term fortunes of the equity markets will partly depend on earnings from major U.S. companies. These include Coca-Cola Co., PepsiCo Inc., Walmart Inc., Home Depot Inc., Macy’s Inc. and Gap Inc. for further clues about the health of the consumer sector.